Bracket for Bubble Magus BM-T01 & BM-T02 Dosing Pump Systems. 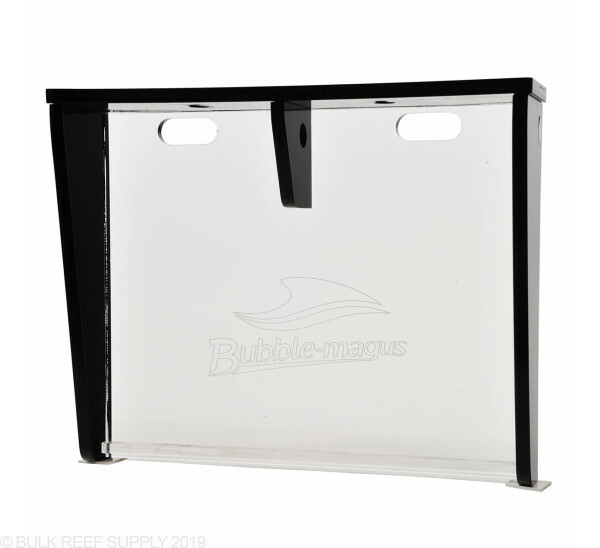 Dimensions: 9.75" x 8.0" x 2.5"
The Bubble Magus Dosing Pump bracket can hold the BM-T01 dosing pump system and will let you mount it within your aquariums cabinet or directly to a wall. This will fit a GHL Doser 2 with some slight modification. You'll have to cut off a small section from the rear center that sits between the two key holes. You'll need to remove a half inch or so section of it so the GHL Doser 2 can fit. I got this when I purchased the BM-T11 and soon realized it only fits the BM-T01. Disappointed, but BRS is taking care of it. That said, the bracket is well made and finished nicely. If it only worked for my BM-T11 this would be a rating of 5 stars. Pricey, but fits pump perfectly and makes your cabinet look nice. 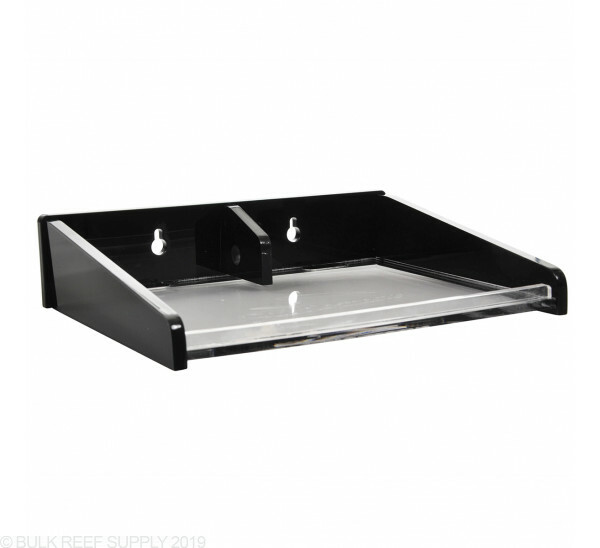 If you spend $300 on the dosing pump, might as well fork over another $40 and get this nice shelf. 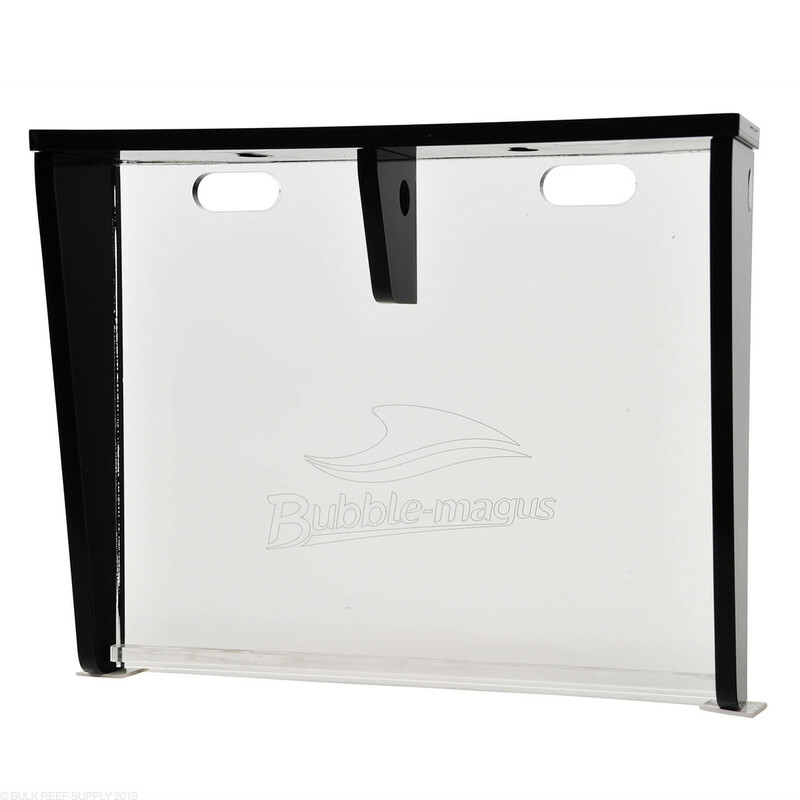 Easy way to make a shelf for the Bubble Magus!!! I have a different dosing pump, but the stand is well made and does the job. I'm curious about the dimensions too. Wondering if my doser might fit in it. This will holding the BM T01 dosing pump perfectly. It unfortunately is not designed to work with other pumps. I have included the required dimensions below. 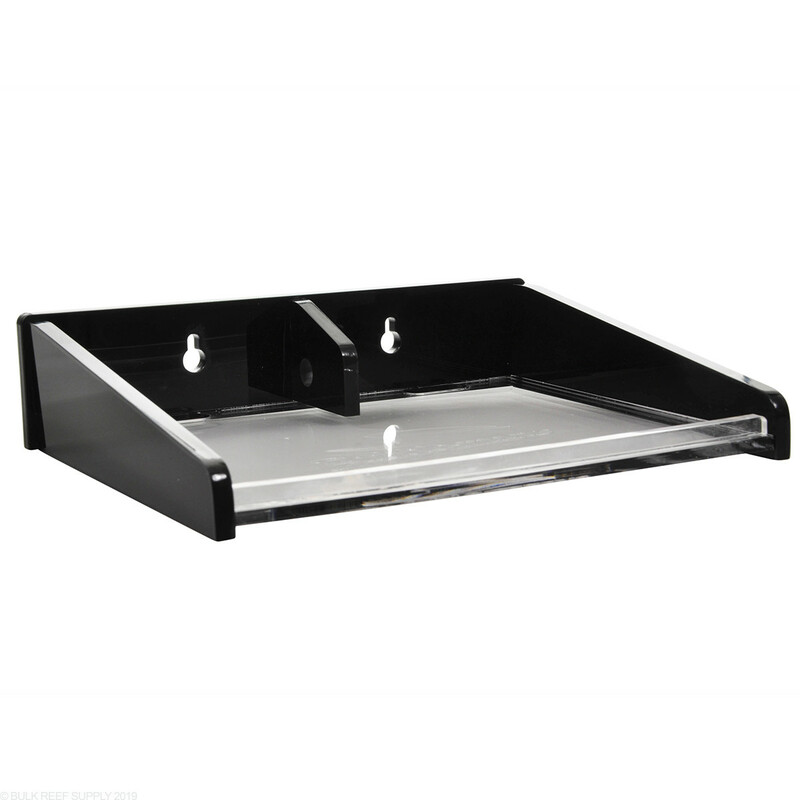 What are the dimensions of this piece? would it house a Neptune DDR? The is designed for use with the Bubble Magus BM - T01 dosing pump. Unfortunately this will not fit the Neptune DOS. Feel free to let us know if you have any further questions!